For decades, Laffing Sal was one of the star attractions at Jester’s Fun House, one of Ocean City’s most memorable amusement venues. Often misspelled as “Laughing Sal,” the large animatronic doll would shake her head, wave her arms, and continuously laugh while patrons would stop in wonder and often begin laughing along with her. A view of Jester's Fun House at Worcester Street and the boardwalk, where Sportland Arcade is located today - Circa 1940. (Click to enlarge) Letters spelled "Fun House" on the roof of the building along Worcester St. right off the boardwalk. Photo from 1933. Mr. Jester purchased Laffing Sal from Philidelphia Toboggan Company in the early 1940s for his attraction. When she arrived, she was placed in front of the attraction to greet guests, and in later years, was exhibited behind chicken wire to prevent vandalism. Buttons to make her work were wired to a nearby concession stand, where the Jesters were able to control her every move. 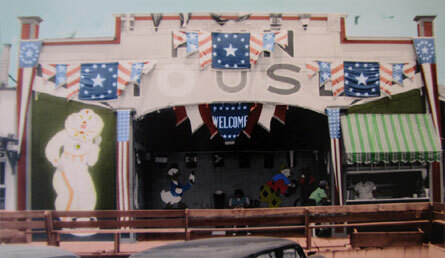 Jester’s Fun House was originally built in the late 1920s by Mr. Thomas Conway of Atlantic City. Conway, who also owned several other small businesses, managed it for only four years before selling it to Lloyd Jester due to poor health. 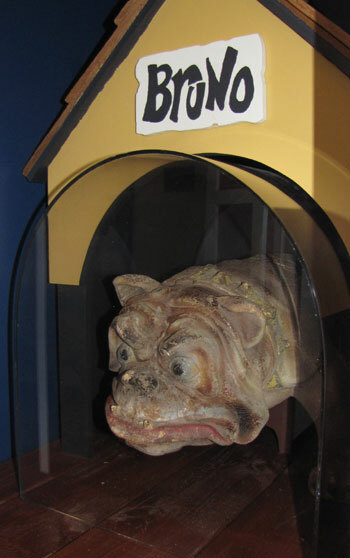 The attraction had a large façade with the words “Fun House” clearly displayed along with images depicting clowns and ballyhoo, and the interior included effects such as air bags, floor obstacles, a tilt room, a stunt entitled “Bruno” which was a bulldog that suddenly sprang out at unsuspected patrons, a large gorilla, and even an octopus. Mr. Jester retired in 1970 from the fun house business and turned it over to his son, Lloyd Jester, Jr. The fun house was demolished after only two years of being operated by his son to make room for Sportland Arcade. Closeup of Laffing Sal - Circa 1950. Laffing Sal and Bruno were two of the only stunts retained from the attraction. 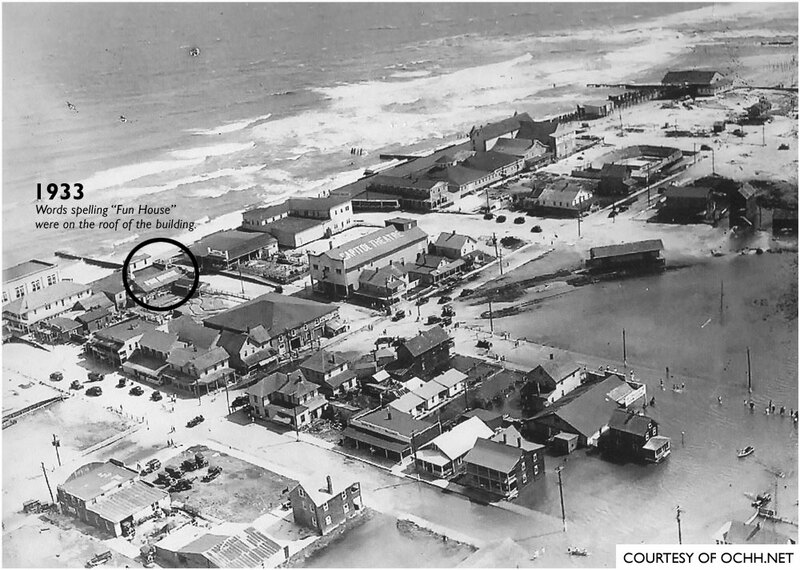 Sal was donated to the Ocean City Life-Saving Station Museum in the summer of 1980 by Mrs. Jester and was restored soon after. Now, she can be seen on the second floor of the museum in the boardwalk exhibit. With only the push of a button, Sal will laugh and sway as she did for nearly three decades on Ocean City’s boardwalk. Experience the intoxicating laugh of Laffing Sal as she originally sounded on the Ocean City boardwalk. Postcard featuring Laffing Sal - 1990s. Laffing Sal in her exhibit - 2000s.